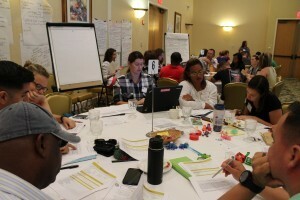 SCHOFIELD BARRACKS -- Nearly 50 delegates representing all ranks of the Army, family members, and Department of the Army civilians joined forces at this week's annual Army Family Action Plan (AFAP) conference to address ways to improve the quality of life in the U.S. Army. DA-level quality of life issues were either submitted via online forums or generated by the AFAP conference delegates and then discussed in detail during the two-day conference at the Nehelani, here, Nov. 16-17. The delegates carried out their brainstorming and issue development sessions divided into six groups at roundtables. In addition to the delegates, each group was assigned a group facilitator and a recorder/transcriber. Delegates also had access to issue support volunteers and subject matter experts from across the garrison to assist them with research related to their issues. After in-depth reviewing, nine issues were prioritized and recommendations for improvements were finalized and presented to U.S. Army Hawaii Senior Commander, Maj. Gen. Charles Flynn, before the closing on the second day. Erin Paulus, this year's AFAP program manager and the local Army Volunteer Corps coordinator, since March 2015, commented, "What's new at this year's AFAP conference is that we're focusing on DA-level quality of life issues." Groups of delegates work together on issues at the AFAP conference, Nov. 16. Several of the issues prioritized pertained to providing service members with training to better prepare them for life in the Army, providing personal and family readiness training during initial entry training, and increasing resilience training during basic combat training. All prioritized issues will be evaluated by the garrison's Installation Action Council chaired by the USARHAW senior commander before being sent to DA's AFAP General Officer Steering Committee. The AFAP initiative was first conceived in 1983 by Gen. John Wickham and has grown tremendously since then. Flynn thanked the delegates in his closing talk. "We wouldn't be here today if it weren't for you and all of the volunteers. The world is moving fast and change is happening rapidly," Flynn said. "Soldiers are different today than they were 20-30 years ago. We have to be advocates. We have to be agents of change." Three of the six groups of delegates brainstorming at the AFAP conference. 1. Donation of leave for active duty Soldiers. Scope: Currently, there is no method for active duty Soldiers to donate leave to a leave bank. Recommendation: Establish an Army voluntary leave program for AD Soldiers. 2. Clothing allowance for active duty officers. Scope: Active duty officers are only authorized a one-time allowance upon initial entry. Recommendation: Implement clothing allowance for active duty officers when mandatory uniform change occurs. 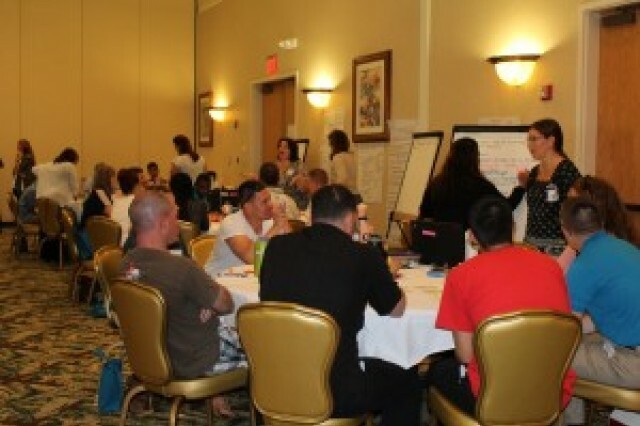 3.Expand resilience training during basic combat training (BCT) of Army recruits. Scope: The Army does not offer a sufficient standardized training program for new recruits. Recommendation: Expand the foundational resilience training program for initial recruits during their BCT. 4.Basic living expense (BLE) support for dependents that are victims of domestic violence. Scope: There is not a current regulation that enforces service members to provide BLE to their dependents. Recommendation: Require Soldiers to provide BLE for their dependents in the event of domestic violence per their commanders' discretion. 5. Temporary transportation allowance (TTA) for permanent change of station (PCS) to and from outside continental U.S. (OCONUS) locations. Scope: Service members often do not have enough money, even with dislocation allowance, to pay for transportation from temporary lodging to work location, causing financial hardship. Recommendation: Implement a TTA for service members that PCS to OCONUS locations. 6. Missed medical appointments by TRICARE Prime beneficiaries. Scope: Missed medical appointments by TRICARE Prime beneficiaries cost the Army and the U.S. taxpayer millions of dollars annually. Recommendation: Hold TRICARE Prime beneficiaries accountable by charging a small fee to the patient for missed appointments. 7. 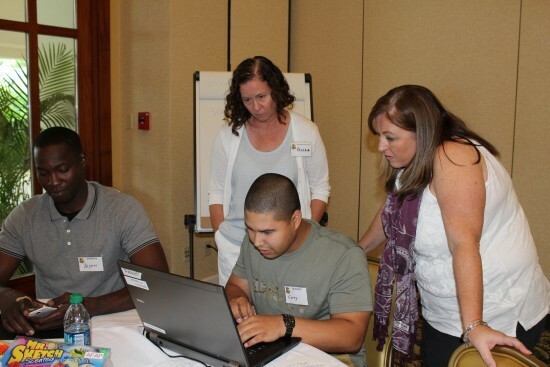 Financial literacy training at career progression schools for Soldiers. Scope: Currently, financial literacy training at career progression schools for Soldiers is insufficient. Recommendation: Institute structured financial training at career progression schools for Soldiers. 8. Personal and family readiness education during initial entry training of Army Soldiers. Scope: Soldiers are not formally trained in personal and family readiness and total Army family. Recommendation: Implement a foundational program of personal and family readiness for all Soldiers in each of their respective initial entry training courses. 9. Timeliness of obtaining off-post child care subsidies for Army families. Scope: The application process can take over a year, resulting in undue financial hardships. Recommendation: Ensure qualified Army families receive off-post child care subsidies within 30 days of applying to the Army fee assistance programs.